After a certain age, nobody really wants cake for their birthday or at least I don't. 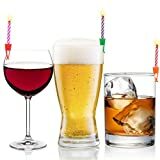 Instead, I think most of us would prefer a birthday beer or cocktail with a candle on it and that's now possible with these cool new Wish Clips. Yep, these ingenious clips hold birthday candles on the side of drinks. 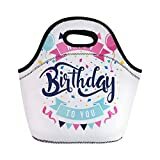 Just clip it onto anything from a martini glass to a shot glass, insert a birthday candle, light it (alcohol less than 100 proof will NOT catch on fire, hopefully), and slide it down to the lucky birthday recipient to make a wish, blow it out, and chug. Each clip is reusable, catches dripping wax in its pocket, and comes in a pack of 25 in assorted colors. I think every reputable bar should have these on hand for birthday beers, because it's just kind of a cool thing I'd like to see catch on.